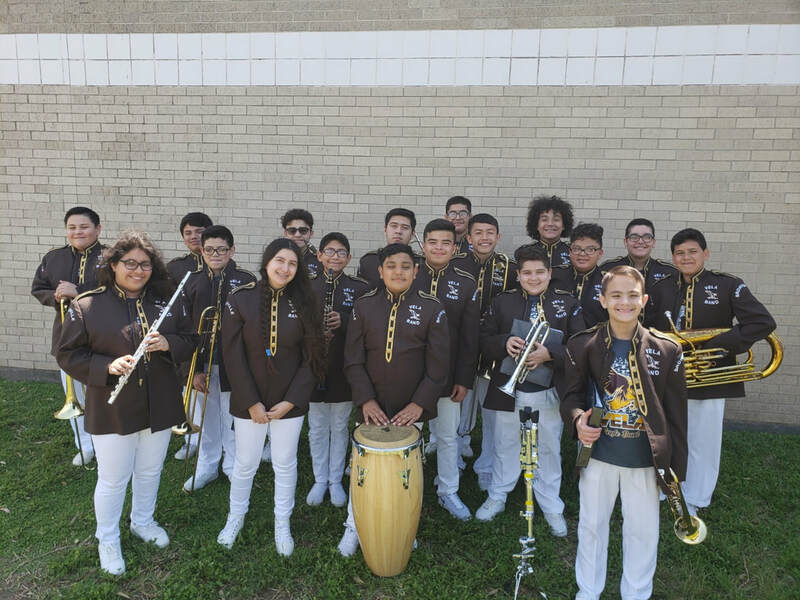 On March 28th, the Vela Concert Band B performed at the BISD Band Evaluation Festival and was awarded Superior and Excellent ratings by the panel of 3 judges. Your band directors are very proud of you! Congratulations to Mr. Cantu and Concert Band B for another great competitive season! 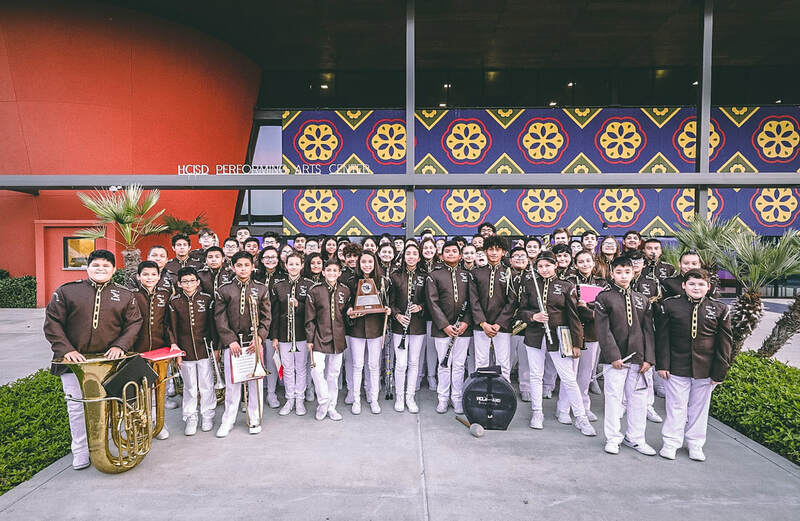 On March 28th, Concert Band A participated in the Pre-UIL Band Festival at the Harlingen CISD Performing Arts Center. The panel of 4 judges awarded the band with Straight Division 1 ratings for their Stage Performance and their Sightreading evaluation. The following week on the 4th of April, the band competed at the 2019 UIL Concert & Sightreading Contest and again earned Straight Division 1 ratings, this time by a panel of 6 distinguished judges. Mr. Garza, Mr. Sarmiento and Mr. Cantu are extremely proud of the hard work and dedication of these students. 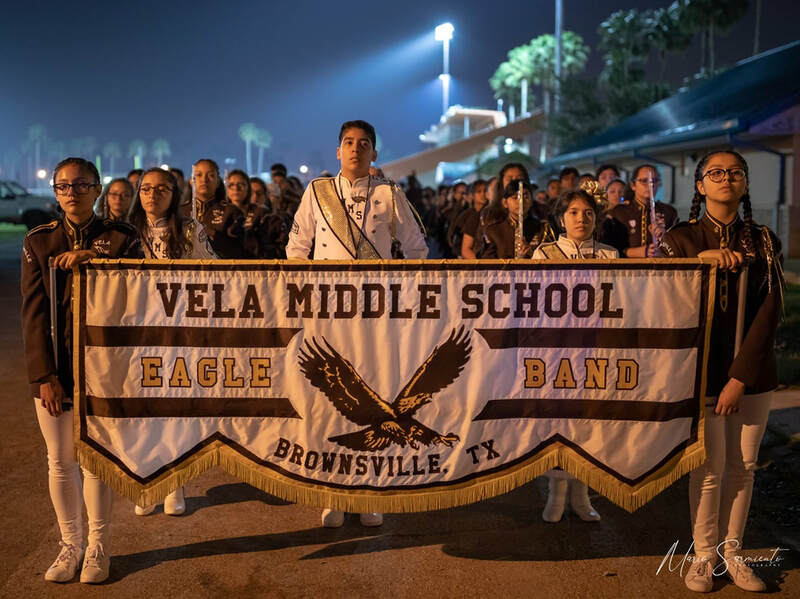 Way to carry on the Vela Band Tradition of Excellence! View our GALLERY page for more 2019 Charro Days Parade photos! View LARGER pics in the GALLERY !!! On Thursday, December 6th, BISD Fine Arts Supervisor Kathleen Jimenez and Choral Supervisor Melody Eriksen visited the Vela Band Hall to congratulate the Record-Breaking "41" All-Region Band Members. They treated the band to some delicious cupcakes!